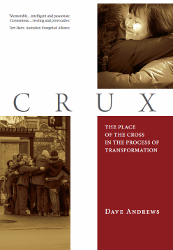 I first presented the Crux as a series of papers, published in Zadok Perspectives, at a National Conference of TEAR Australia in Sydney. TEAR Australia is an Australian Christian aid agency committed to working with the poor in the light of the gospel. For many years now I have been concerned that, though we as Christians often invoke Christ as the reason for our concern for the poor, seldom is there anything distinctively Christ-like about the nature of our concern for the poor. In fact, in my experience, where the gospel has been referred to as framework for practice, it has often been reduced to a formula, that has not only underrated the value of work with the poor, but also undermined the faith of those working with the poor. I have prepared these papers to help us reclaim the story of the cross, not as a 'form-ula', but as 'metanarrative', that can inspire our faith and inform the value of our work. I know some of what I want to say will be considered to be quite controversial by the evangelical constituency from which I come. However, my intention is not to be contro-versial, but to be honest, and to simply raise critical issues about our understanding of the story of the cross, and how that understanding impacts on our work with the poor. It is a great encouragement to me, that amid the controversy surrounding the present-ation of these papers, that respected evangelical leaders, like Tom Slater, the National Director of the Australian Evangelical Alliance, have responded so enthusiastically. In Working Together, Tom wrote: 'A recent highlight for me was the TEAR National Conference. Dave's input - three packed presentations on the cross - were riveting and deeply provocative. He strongly affirmed the centrality of the cross in our experience; at the same time challenging us to rethink some of (our) interpretative frameworks'. When I presented these papers at the national conference, I did so with the disclaimer that: 'it should be noted that the views expressed in these papers are only those of the author, and do not necessarily reflect the views of either the board or the other staff of TEAR Australia'. That disclaimer still stands. For better, or worse, these are my views. Dave Andrews has long been a voice of passion, grace and truth for those who seek to follow the radical way of the cross of Christ. These provocative essays exploring the story of the cross ought to become a highlight of his already brilliant writings. In them Dave forces us to confront our propensity to distort the cross, making it into the very same kind of violent myth it seeks to subvert. How we understand the cross forms the very centre of how we answer questions regarding what it means to be God’s people—who are we, what are we to do, and how are we to do it? Dave offers us an alternative to contemporary violent atonement theories by showing that the cross, far from asserting violent power, unmasks it, puts it on public display! With his characteristic sensitivity, Dave shows us that the problems inherent in the narrative of the cross lie not with the cross itself, but with our telling of the story, with our understanding of that crescendo of history. Discussion of the atonement is of course fashionable in the Western Church in recent times, and so Dave’s subject matter is not unprecedented. However his approach is refreshing. Dave manages to communicate difficult concepts, typically argued in scholarly contexts, in language that is accessible for all people. What he has written is a fantastic starting point for those who are exploring these themes for the first time as well as a stimulating read for those more experienced. In addition to Dave’s well-reasoned arguments are his wonderful stories that emanate from a life of trying to embody what he teaches. Dave’s persuasive power goes beyond the mere cerebral as he shares both personal and anecdotal tales of cross-centred love. These stories put ‘flesh on the bones’ of the theology Dave outlays, a theology of subversive ethics and incarnational love. Through such stories we are challenged and encouraged to more faithfully take up our own crosses and exhibit the costly grace and revolutionary compassion of Christ who suffered and died to save his people from their sins. Dave’s liturgies, songs, poems and questions also provoke us into deep reflection and prayer, a response both appropriate and necessary. I’m sure Dave’s essays will prove controversial for some, simply because of the sensitive nature of the subject. 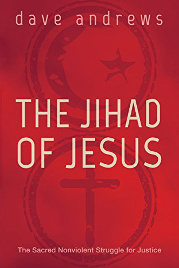 However I wholeheartedly believe the challenge they pose to violent interpretations of Christ’s redeeming work is a crucial one in the Church today. I wouldn’t hesitate to recommend these essays to anyone questioning the meaning of the cross, those wanting to better understand the relevance of Jesus’ death for kingdom mission today, or those who simply wish to be challenged and transformed by Jesus’ revolutionary love.